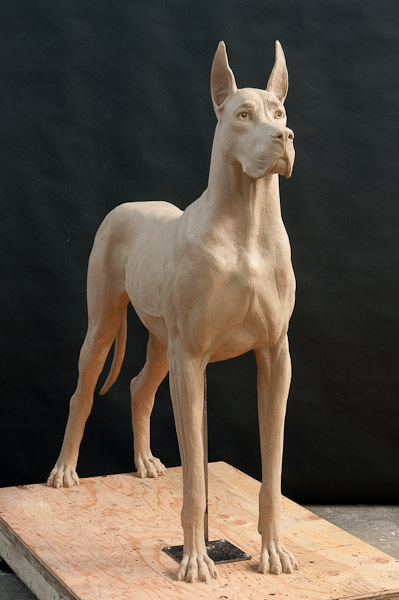 Great Dane Trailers of Utah recently asked several artists to bid for a sculpture to display in their Salt Lake City showroom, reflecting the image from the company’s logo. Of all the artists that submitted sketches and models in order to bid for the project, Kraig Varner was ultimately the artist that piqued their interest the most. 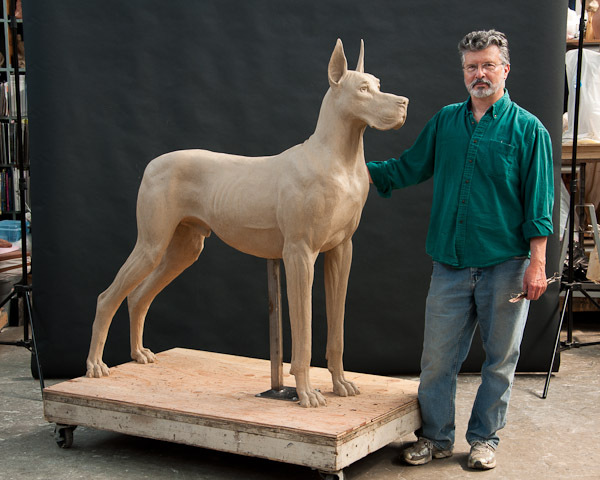 Kraig created a maquette of a Great Dane in clay and was then asked by the dealership to create the piece in a life-size bronze sculpture. For the next two months, Kraig worked diligently on sculpting this substantial work of art, in clay. He had sculpted dogs before but had yet to have the opportunity to sculpt such a magnificent animal. He spent time researching the proportions of the Great Dane and what people perceive as beautiful qualities in this specific breed. Kraig felt that the presence of the Great Dane was one of the most important qualities to capture as the breed comes across as incredibly strong, powerful, and athletic and yet incredibly gentle at the same time. The life-size piece is currently in the process of being molded and casted in bronze at Adonis Bronze Foundry. The finished sculpture is set to be installed at Great Dane Trailers of Utah, in Salt Lake City, in a few weeks.